A laceration happens when your child’s skin gets a cut following an injury. If the laceration is minor, you’ll likely be able to treat it at home. 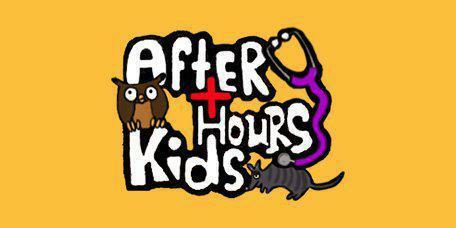 For deeper or more severe lacerations, After Hours Kids in Austin, Texas can discuss options for wound closure. Oftentimes dermabond (medical glue) is used. Occasionally, staples are used on the scalp to close the cut. How can I tell if a laceration requires stitches? 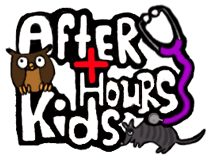 The Pediatric Nurse Practitioners at After Hours Kids will carefully evaluate your child’s wound and let you know right away if stitches are needed. If the cut is superficial, meaning it isn’t deep enough to penetrate layers of muscle or fat, isn’t profusely bleeding, or isn’t in the facial area, it likely can be treated without stitches. The primary treatment goal is to thoroughly clean the laceration and then close the wound with dermabond (medical glue) to minimize infection risks and avoid scarring. Dermabond is painless and much faster than stitches. If the laceration requires stitches, the nurse practitioner will facilitate a referral for your child. How should minor lacerations be treated at home? Minor cuts and scrapes are quite frightening to a child, especially when the child sees blood. After comforting your child, talk them through the steps you’ll take to get the bleeding under control and treat the wound. When should I call a doctor for laceration treatments?